What To Expect From Luxury Travel In Vietnam This Year? Last year, we represented Vietnam in major Travel Trade shows around Asia and Europe. In 2017 we attended Fitur in Spain, ITB in Berlin, PATA in Macao and WTM in London. We have invited partners for a FAM Trip scheduled for this year, to showcase to them all the attractive places and experiences that Vietnam can offer for all kinds of luxury travelers. 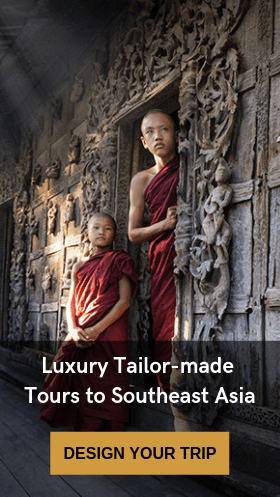 Read more about Who Are The Luxury Travelers Of Today. So after the latest show, ITB Berlin, where we showcased our new product projects for the year ahead, we wanted to give more insights on what to expect from our product experiences crafted this year and how do we innovate. In Vietnam in 2017, the Government issued an action plan to develop tourism as a spearhead economic sector, including creating favorable conditions for travel operators. And this year, we’ve seen new projects being fomented by the Vietnam National Administration of Tourism as well. Vietnam has a large variety of destinations which make it a very attractive country with natural sites like the Mekong Delta or Halong Bay, historical sites like Hue or seaside destinations such as Mui Ne and Nha Trang. But, apart from visiting beautiful landscapes, foreign tourists coming to Vietnam want to learn more about Vietnamese culture, hoping to meet and experience the locals living. And as travel tendencies change, the Vietnam National Administration of Tourism need to follow it closely. One region got special attention so far. 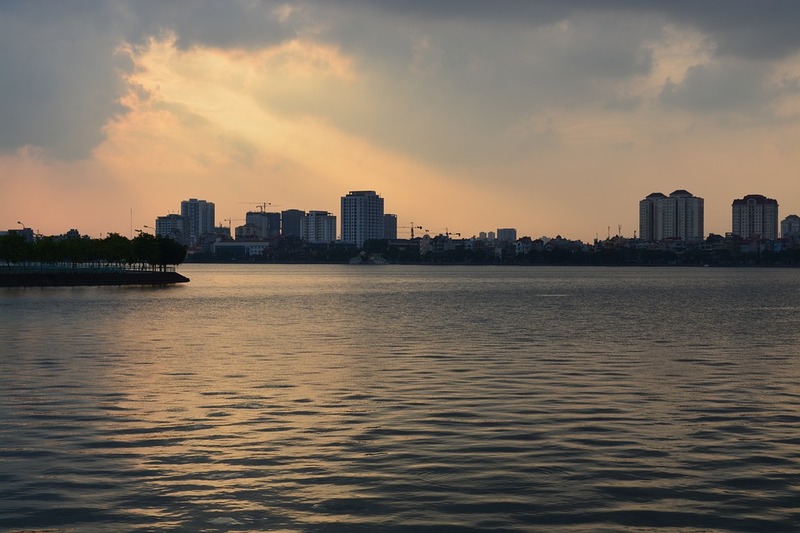 Hai Phong port and the region close to Cat Ba Island have enjoyed an improvement in its connectivity attracting more visitors. Hai Phong has gained positive achievements in tourism development thanks to its potentials and favorable traffic infrastructure. Indeed, Hai Phong city has invested and brought into use an international wharf. And it has been developing deeply the Cat Bai Island into a national tourism destination with smart and environmentally-friendly ecotourism models. By 2030, Hai Phong aims to become a national tourism hub and compete with both regional and international major sites. We, at Luxury travel, had already foreseen the major gem that Cat Ba Island and Hai Phong represent so we have been developing our brand new 5-star Luxury All-Inclusive Emperor Cruises in Halong Bay according to that. Our newest Cat Ba Archipelago cruise offers the chance to cruise in the Gulf of Tonkin (Lan Ha Bay- Bai Tu Long Bay and Halong Bay). Luxury Travel completed a very successful showcase of its product at this year’s ITB Berlin. That is when we revealed our new plans and product for the next year (to be launched in 2018-2019). Among them are the expansion of their luxury cruises, Emperor, a whole new cruise experience in the Red River and a never seen before dining experience with real Hanoians near the Westlake area. 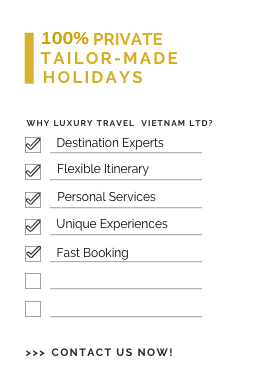 As the industry keeps asking for more specialization, our product team is constantly trying to look for the new little services or additions that will make the difference when someone chooses to travel to Southeast Asia and especially to Vietnam our where we are had based. The members of the Luxury Travel panel discussion at the Marketing and Distribution Day at the ITB Berlin debated changing attitudes towards a luxury lifestyle. A luxury lifestyle was now less defined by an ostentatious show of material wealth, but instead of seclusion and a high level of personalized service. The panel members included Al Merschen, principal of Myriad Marketing/MMGY Global, and, Arnaud Girodon, general manager of The Datai Langkawi. A huge part of the travel experience is getting to know local traditions, history, and culture. And happily, you can actually get in touch with all three aspects of a national identity just by eating. Whether it is by the highly structured ceremonial of Vietnam’s tea welcome drink, or by paying a visit to a sacred temple and a Buddhist pagoda. The most memorable travel experience goes through an immersion into the living environment of locals: having a simple chat with a monk, a visit to a local market or to Vietnam’s hawker stalls, just sampling a country’s cuisine in the way the locals enjoy it. That is what turns your local experience into a memorable one. And that is how we created our brand new Eat Like Locals by the Secret Hideaway in Westlake exclusively to satisfy our high-end customers looking for some authenticity in their Holidays in Vietnam. Travel is all about places, experiences, and memories. We are now committed to keeping providing the authentic cruising experiences for our sophisticated guests on an incredible voyage of discovery from the highlands to Hanoi and the Gulf of Tonkin. 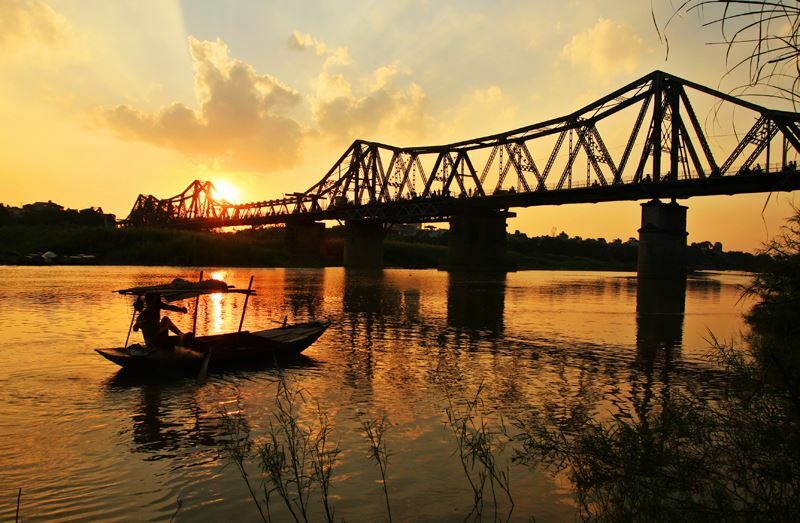 The Red River in Hanoi is rich in mythology and history. Not only it helps the country feed itself but it has also served in its historical independence struggles. Originating in China, the Red River flows past Hanoi and several provinces in the north of Vietnam before emptying into the Gulf of Tonkin. 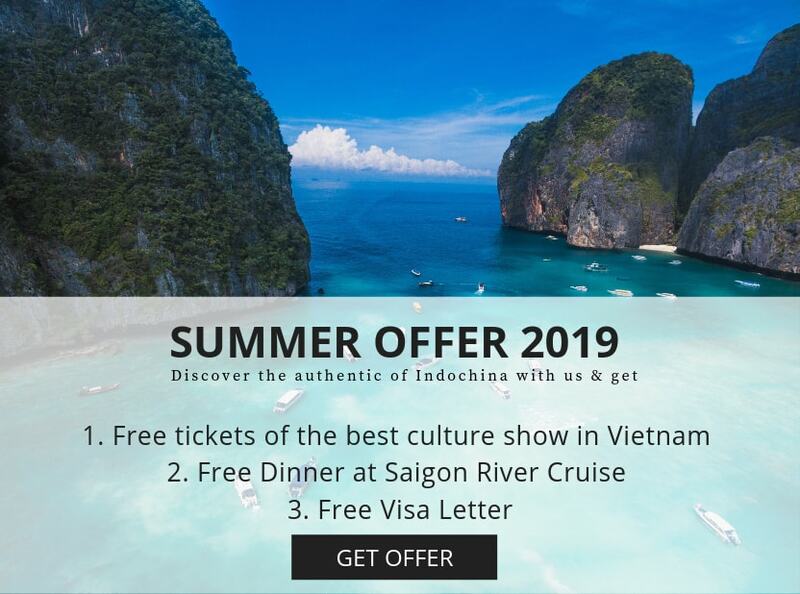 That is why our New Heritage Cruises tours will take you very soon to the cultural heritage of Vietnam with the very first boutique cruises on the Red River. Our experience and knowledge make us think outside of the box and bring to our customers always more unique experiences. For more information about our Vietnam tours, contact our team of experts here. Luxury Travel provides “wow” services to the most sophisticated luxury travelers. They offer privately guided and fully bespoke holidays coupled with personalized customer service. Their Ultra Luxury experiences come with all tailor-made services serving individual and business travelers as well as MICE. If you are looking for an experienced local tour operator/DMC in Southeast Asia, contact Luxury Travel. Esther is a passionate traveler and a multilingual content specialist that has lived in 3 continents, 5 countries and 6 cities so far. She was immediately conquered by Vietnam with its contrasting and magnificent landscapes, its culture, its traditions, its people… and found there the ideal place to settle down for a while. 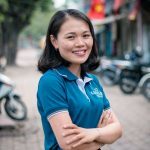 She firmly believes that it’s the encounters that make the best trips and loves to share her insider tips and advice about Vietnam, Southeast Asia, and new travel trends.